It sounds almost crazy to say for an online casino founded in 2016, but the Grand Ivy Casino has already ascended to a position of some authority in the industry in this short space of time. The brand has managed to stay ahead of the curve by sticking to their principles and putting players first. This is evident both in the quality and quantity of games available, which have been sourced from the leading software houses, and in the fantastic range of bonuses and promotions available to new and existing players alike. The three-tiered welcome package takes some beating. We also have to hand it to the casino's customer support. 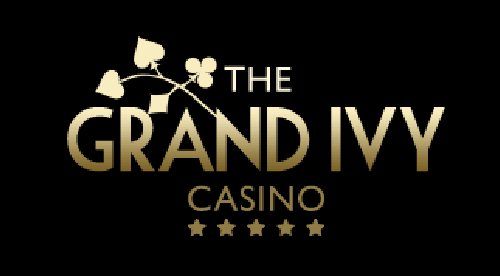 The Grand Ivy’s team is available around the clock, seven days a week – whether you're a VIP member or just a ‘standard’ player. This is an outstanding casino brand that offers glamour and sophistication at your fingertips. There are more than 500 online casino games awaiting players at the Grand Ivy, ranging from the classics such as roulette, blackjack and baccarat to slots and jackpot games offering life-changing sums with just the click. They feature huge cash payouts should your lucky star shine on you. If you prefer a more realistic virtual environment, the Grand Ivy’s live casino features genuine, working dealers and croupiers filmed live in an actual bricks and mortar casino in Malta. And to ensure they have every angle covered, there is a small but perfectly-formed selection of scratchcards and arcade games to enjoy when you want to experience the thrill of trying for an instant win. When you fire up the Grand Ivy website on your computer or portable device you will be greeted with a snapshot of the games that can be played. This is a mere drop in the ocean compared to the full 500-strong library that awaits you. The hundreds of slot titles there to enjoy can be loosely categorised as ‘standard’ and ‘jackpot’. The former are those games where the top prize is set in stone, while the latter features progressive jackpots which climb in value with every passing minute. These slots have been sourced from some outstanding games-makers, including NetEnt, NYX and Leander Gaming, amongst others. Fans of a more traditional persuasion will love the sheer diversity of the roulette and blackjack variants available at The Grand Ivy Casino. Add into the mix baccarat, a staggering array of poker types and a selection of other popular card games and it's fair to say that the Grand Ivy has all bases covered.